NIH’s (National Health Institute) National Eye Institute has estimated that 42% of Americans have myopia (nearsightedness, where objects closer to the eye are better visible than those far away), and about 5-10% suffer from hyperopia or farsightedness. If you are one among those who sport corrective contact lenses, you are probably not new to the issue of squinting or getting teary-eyed in the event of harsh sunlight, with no option but to endure it! There has been no solution to this eternal problem…until now. For the 40 million users in the United States, the FDA has approved contact lenses, which have the ability to darken automatically in times of bright light. The Acuvue Oasys Contact Lenses with Transitions Light Intelligent Technology has been designed for individuals with myopia or hyperopia, and for some people with astigmatism (eye curvature defect causing distorted vision at all distances) too. Scheduled to release in 2019, this set of lenses is not indicated for those with any sort of inflammation or eye diseases. The product was created with the aim of enhancing the lifestyle of contact lens wearers, bearing in the mind health of their eyes. Additionally, no conditions can be detected with the use of this new eyewear nor can a person’s exisiting sight be improved. Photochromic optical lenses are those that darken on exposure to high-intensity radiations, like UV. The contacts return to their original, clear states in the absence of this kind of light. Currently, only photochromic sunglasses are available in the market. Dr. Malvina Eydelman, an FDA ophthalmologist, said that this new additive to contact lenses was, in fact, inspired by the technology of photochromic sunglasses, released a few years ago. The technology alters according to the nature of the light present. It does this by filtering the amount of UV radiations that reach the eye. This adjustment results in a darkening of the lenses in bright sunlight and a regular tint in normal or dark conditions. There has been a lot of research in this area of optics. After several rounds of testing and clinical trials, the eyewear was fitted on 24 volunteers, prior to FDA approval. These individuals reported no trouble, even while driving, during the course of the entire day and night. Dr. Xiao-Yu Song, R&D head at Johnson & Johnson Vision also expressed his satisfaction with the idea and said this could help several contact lens users better handle changing light conditions. The American Academy of Ophthalmology’s Ravi Goel referred to the transitioning lenses as “interesting”. But, he commented on the risks they could pose in terms of eye damage due to overexposure to harsh lighting. Some experts warn that wearers should be aware that these contact lenses are not meant to protect the complete area of the eye from UV rays, and they should be treated differently (functionally) from off-the-shelf sunglasses. Goel reiterated that this was serious advice and should not be ignored. Think of the eyewear as sunscreen for the eyes — necessary for protection but not foolproof from effects of bright light. As reported by the FDA, the product was not meant to be a substitute for UV-safe eyewear. 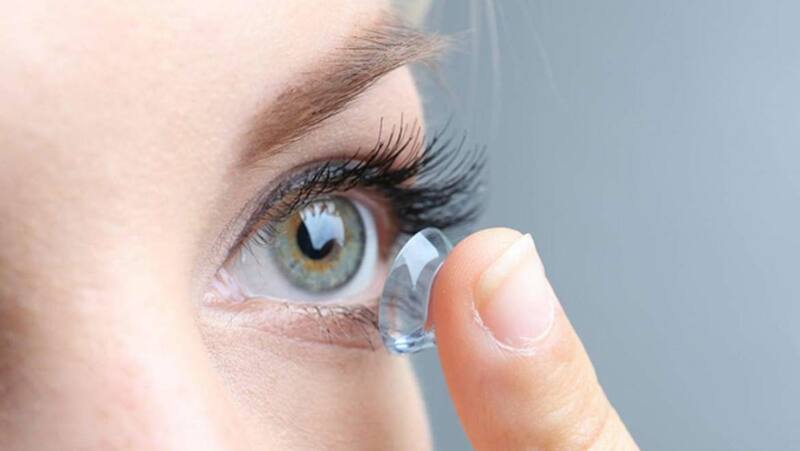 Other FDA warnings include not sleeping in these contacts, minimal exposure to water and restricting each pair to not more than 14 days (when worn daily). Despite these contraindications, which need to be taken seriously, the ‘Transition’ lenses are sure to be a promising welcome into the field of ophthalmology. They could potentially give users, worldwide, a renewed ‘vision’ of the world!